What Does The Best Bond Cleaning In Brisbane Cover? Finding the best option for your bond cleaning Brisbane needs is not easy. The most common questions we get asked by people like yourself have been collated below to assist you in making a smart decision. We work on flat-rate pricing, not hourly based. This means we stay until the clean is done in full as we are not restricted by time. Our bond cleaning Brisbane team will leave after ensuring that all areas on the cleaning checklist are cleaned. WHY ARE MAID2MATCH BRISBANE’S BEST AT VACATE CLEANING? Our cleaners deliver WOW results in your home and our Customer Service team delivers the best customer service in Australia. This is fundamental to our identity. Delivering a single 5 star experience is not difficult, consistently and regularly delivering the same 5 star experience across thousand’s of home is. We have a bond cleaning checklist to ensure we are always hitting the mark. If you are moving out from your rented house or apartment your goal should be to get your bond deposit back in full. If you are a property manager or real estate agent, your goal is to have prospective tenants rushing to hand over their first month’s rent. In order for both parties here to be 100% happy, you need a 5-star bond clean. Luckily, Maid2Match has Brisbane’s best bond cleaners, amazing customer support and unbeaten standards. 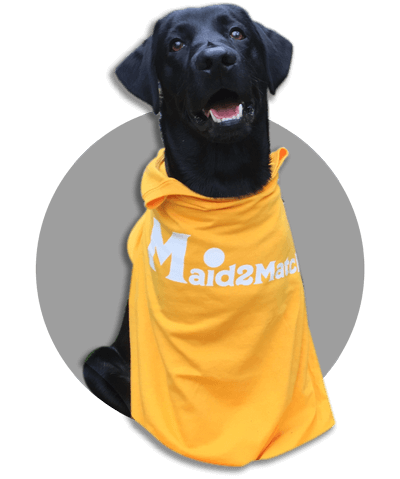 At Maid2Match, we are bond cleaning Brisbane specialists who sole job is to ensure your property manager is happy with the state of the property. We do this by following our extensive bond cleaning checklist which is essential to a truly great exit clean. This is no more evident than by our ‘72 Hour Guarantee’. Within 72 hours of our clean, if a re-clean is requested by the property manager we return free of charge! If you have not moved out of a rented home before than you may not understand what bond cleaning is or what’s involved. Bond cleaning Brisbane is also known as move out cleaning or end of lease cleaning depending on who you talk too. You’ll find it is a mandatory requirement made by the property manager to the tenants, in order to receive their bond deposit back. It differs to one time and recurring house cleans as the aim is to clean the entire house in order to bring it back to a point where it is ready for a new tenant to move in. Brisbane is the capital city of the sunny state of Queensland. It is the most populated city of any in the state and ranks third among all cities in Australia. Its major business district is located right where the European settlement used to be, and it’s surrounded by the Brisbane River from almost all directions. Brisbane is also one of the first cities that were built by Europeans in Australia, prior to that it was a home to the tribes of Turrbal and Jagera people. Its name comes from the Brisbane River which is central to its identity. Originally built for the European Colony detainees, Brisbane is now a bustling city and a true architectural gem. The Queenslander architecture is one of the many reasons why this city is such a renowned tourist attraction. But you can also visit the scenic Gold Coast and Sunshine Coast to bask in the sun and get a swim. If you want more urban attractions, you can visit Queens Gardens, King George Square, and the Botanic Gardens. There are various theatres in Brisbane, and you can enjoy new bands and popular artists who regularly are in town touring. For nature lovers, the Lone Pine Koala Sanctuary is the right place to be.